You could encounter the "Windows Java Installer Error 1723" during JRE installation, chances of this error are even higher when trying uninstallation of a newer Java version followed by installation of an older version. Things get really annoying when the solution provided (deletion of registry key) at Java and other websites/forums fails to solve the issue. After a lot of hit and trial, I finally got it solved as instructed ahead. 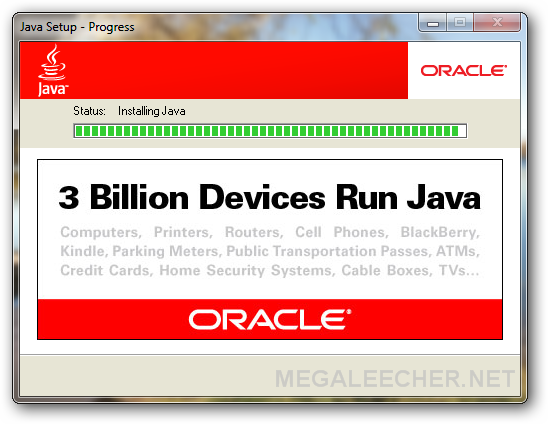 After, trying the recommended procedure and failing with them I tried using JavaRa to uninstall JRE completely. While, it did removed the leftovers the "JRE 6 installer" kept throwing error 1723 asking me to uninstall existing version - which was in-fact not there, making things into an infinite loop. 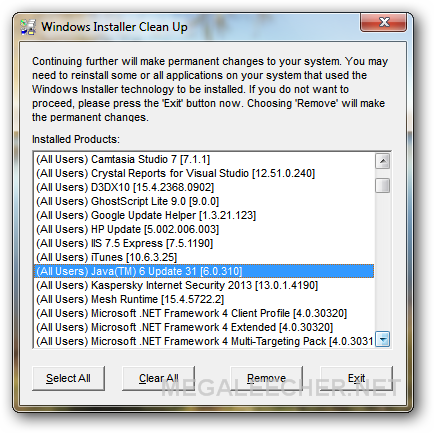 Finally, the trick which worked was to cleanly remove the leftover JRE 6 installer using the handy Windows Installer Cleanup Utility. The Java 6 setup worked flawlessly after cleanup as shown below.